Trinseo (NYSE: TSE), a global materials solutions provider and manufacturer of plastics, latex binders and synthetic rubber, organized a series of activities in Shanghai during Chinaplas, a prominent plastics trade fair as well as a major and recognized platform to promote technological innovations. Based on its technical know-how and dedication to help customers meet their material challenges, Trinseo has a long-standing legacy of unrivaled customer relationships with the world’s leading companies. The Company’s unmatched global scale and broad geographic reach give it the ability to respond quickly and efficiently to the marketplace’s changing needs and help its customers capitalize on growth in emerging geographies. China is a growth region where Trinseo has been making strategic investments. 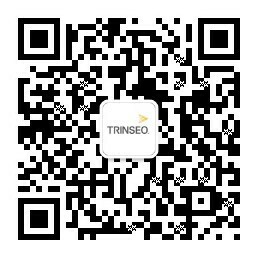 During April 24-27, 2018, Trinseo created a Customer Meeting Center in a hotel nearby the Chinaplas fairground where customers came for 40 scheduled meetings with Trinseo senior executives, its sales teams as well as technical specialists and engineers. Trinseo values the exchange opportunities through which it understands customers’ needs and challenges better, and is able to synergize to provide sustainable solutions. Apart from those in Mainland China, customers and distributors also flew in from countries such as Australia, Indonesia, Japan, the Philippines and South Korea. In addition to a latex binder production facility, the Trinseo Zhangjiagang (ZJG) site finalized its setup in expanding its manufacturing capability to include an Acrylonitrile Butadiene Styrene (ABS) plastic resins production line last year. The plant is now running smoothly, manufacturing quality ABS resins and shipping them worldwide. To allow Trinseo’s customers to have a better understanding of our ZJG ABS facilities, a Customer Open Day was organized on April 26. Over 150 customers joined us and spent an inspiring day there with a group buffet lunch, plant tour and technical presentations. In the morning of April 27, Trinseo organized a media gathering, inviting 15 prominent industrial media specializing in plastics to come for a short but informative session on Trinseo MAGNUM™ ABS Resins. For decades, MAGNUM™ ABS Resins have helped designers and fabricators differentiate their products and provide end-user satisfaction. Now MAGNUM™ ABS Resins are also “Proudly Made in China”, in the same global standard as in other Trinseo manufacturing sites. The Trinseo plastics portfolio includes families of well-tested, high-quality polycarbonate, engineered polymers, ABS resins, polystyrene, and polypropylene materials. Learn more about Trinseo’s plastics portfolio.